Please understand, the lists that are compiled are NOT exhaustive. Also consider this: boycotting is good; however being a good witness in spite of it (writing letters, emails, phone calls) is a greater example of getting their attention (thanks to Frank R. for the nudge to update). 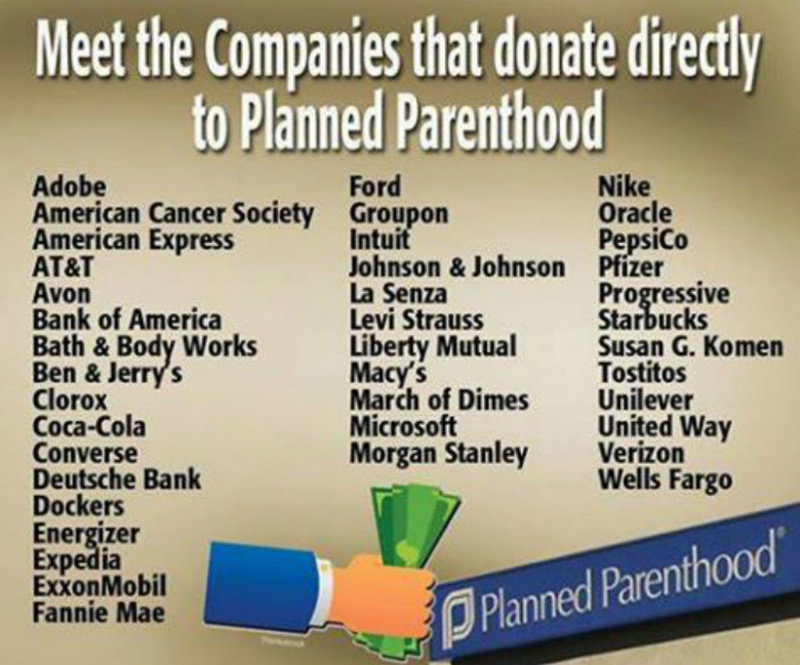 I’ve written on this subject many times and I keep coming to the same conclusion: In one way or another, corporations and companies give a lot of money to non-profits and Planned Parenthood is a non-profit! Taxpaying Americans tend to forget that. PP takes our tax money and pays for minor girls (without a parent’s knowledge) and women’s birth control and abortions all over the country, not just in big cities. 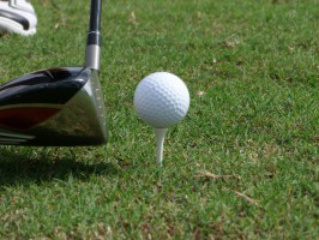 The Fifth Annual Golf for Life Outing is the primary event to benefit Southern Downriver Right to Life in 2015. 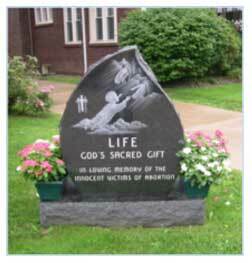 Southern Downriver Right to Life is an affiliate of Right to Life of Michigan. 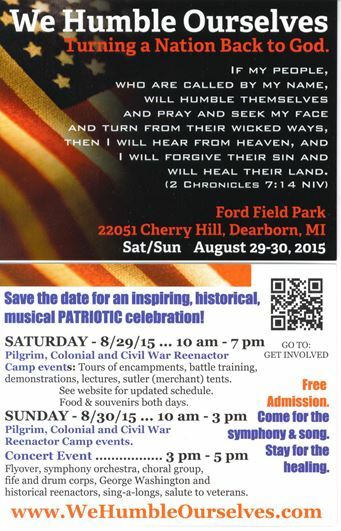 SAVE THE DATE FOR AN INSPIRING, HISTORICAL, MUSICAL PATRIOTIC CELEBRATION – FREE ADMISSION – FREE PARKING – Ford Field Park, 22051 Cherry Hill, Dearborn, MI. Pilgrim, Colonial and Civil War Re-enactor Camp Events: Tours of encampments, battle training, demonstrations, lectures, sutler (merchant) tents. Click here for more information: we humble ourselves » Turning a nation back to God. 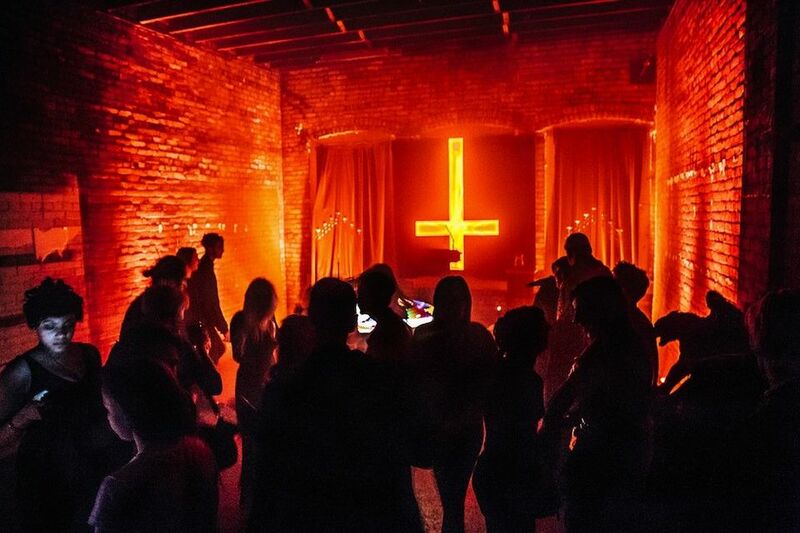 In case you were earlier not aware, the Satanic Temple of Detroit is still planning to unveil their satanic statue somewhere in Detroit in July (they are not revealing where and when). They originally were planning to do so in Eastern Market on July 25 but have now cancelled due to loud protests. If you are able to, please attend this special Mass and Holy Hour to pray for our city and country! Also, if you are able to, please send and share this information with all of your family members and friends! Let us hope and pray for a big turnout! California Assisted Suicide Bill is Not Dead Yet, Calls and Emails Needed to Stop It.